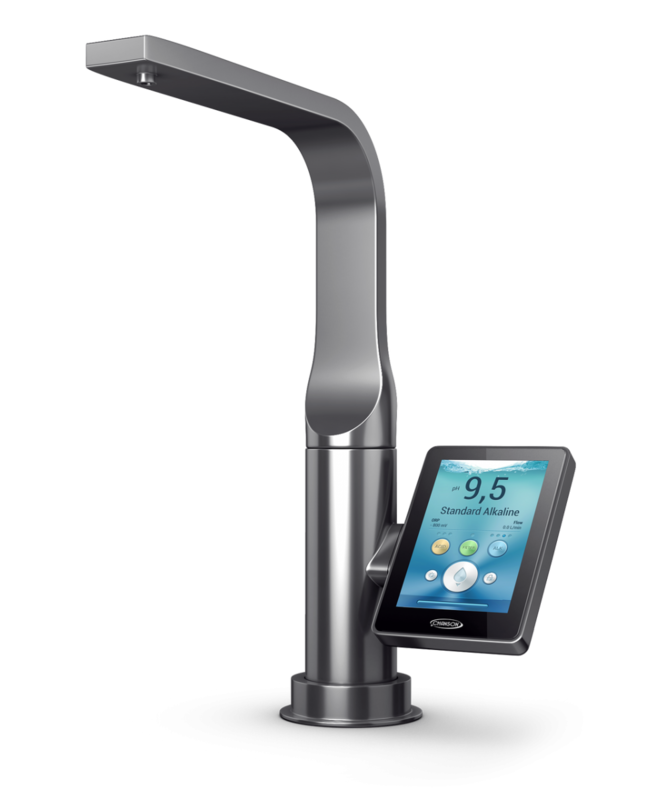 Drinking alkaline ionized water on a daily basis helps neutralize acid to maintain or restore the body’s optimal pH balance. When our body is in equilibrium, our multiple self-regulating control mechanisms are able to operate in ideal conditions to efficiently deliver nutrients to our cells and to dissolve and eliminate waste products through the body’s natural elimination channels. The human body is designed to maintain a very delicate pH balance in its fluids, tissues and systems. As most biochemical reactions essential to life take place in an aqueous environment, however, it is our blood plasma and interstitial fluids surrounding the cells that are most sensitive to acid-alkaline imbalance. When these fluids are maintained within a narrow pH range of 7.35 to 7.45, our body’s immune system is operating in optimal conditions and is able to fight off illness and disease.Over acidification of the body, on the other hand, is a dangerous condition that weakens all body systems, and can give rise to an internal environment conducive to disease and even death. Luckily, however, our body has several self-regulating control mechanisms – also called homeostatic systems – that protect us from wide fluctuations in our blood’s pH levels. One of the most important buffer agents in humans is bicarbonate. When carbon dioxide (CO2) mixes with water (H2O), carbonic acid is formed (H2CO3). When carbonic acid dissociates in an aqueous environment, it releases a molecule called a bicarbonate ion (HCO3-). Bicarbonate ions act as buffers because they bond with positively charged alkaline ions such as calcium, sodium, potassium and magnesium ions and help the body neutralize an increase in the blood’s acidity levels. One of the body’s pH control mechanisms is called the acid-base buffer system. Buffers are substances which are capable of stabilizing pH in an aqueous solution. 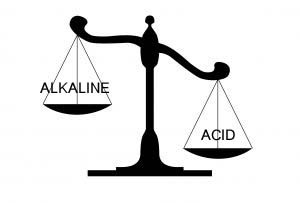 Alkaline (base) buffers are released into the blood stream when the blood becomes too acidic, and conversely, acidic buffers come into play if the blood pH becomes too alkaline. Unfortunately, however, our Western diet and fast-paced lifestyle put a heavy acidic burden on our body and the blood’s buffer system can’t always keep up. This leads to the gradual acidification of our blood and the body will then turn to other mechanisms to try and protect itself. However, these alternate mechanisms can sometimes trigger other types of problems that can lead to weight gain, premature aging, and the onset of multiple diseases. Every living cell within our body creates waste products. The nutrients from our food are delivered to each cell and they burn with oxygen to provide energy for us to live. The burned nutrients are the waste products. 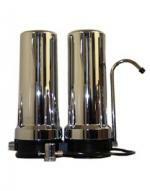 These waste products, which are mostly acidic, are discharged from our body through our various elimination channels. That explains why urine and perspiration are acidic. The problem, however, is that if our internal environment is not maintained in a state of pH balance, our body’s ability to eliminate the waste products slows down. To protect itself, the body converts acidic waste into solid waste and stores it in less critical areas of the body. The accumulation of solid waste can contribute to many health problems including excess weight, clogged arteries, arthritis, kidney stones, and various other chronic illnesses. Calcium is absolutely essential to everyday health. Not only is it important in bone strength, but it plays an important role in blood pressure control, nerve function, and blood clotting. When the blood starts to become too acidic and the supply of alkaline buffers in the blood is insufficient to neutralize this acidity, however, the blood automatically seeks out other ways to reach pH balance. Since calcium is a very alkalizing mineral, the body will start drawing calcium from the bones and teeth in an effort to balance the blood’s pH levels. As the body’s acidity increases, more and more calcium is removed from the bones. If left unchecked over a long period of time, this situation can lead to a loss of bone density which eventually leads to osteoporosis. Red blood cells deliver oxygen, amino acids, electrolytes and vitamins to the cells and tissues in your body, and collect carbon dioxide and toxins for elimination. Healthy red blood cells are surrounded by a negative charge so they are continuously repelling one another as they race through our circulatory system. This allows them to efficiently release nutrients and absorb waste products. However, when your blood becomes more acidic, the red blood cells lose their negative charge and start to stick together, a process called ‘rouleau’ formation. 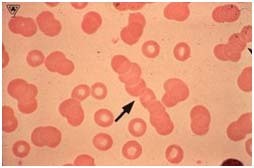 When this happens, the blood cell’s exchange surface area is reduced and the transfer rate of the blood slows down. As such, the body’s ability to regenerate is compromised.